RiseSmart, Inc., in San Jose, California, was named Most Innovative Company of the Year (up to 100 employees - all other industries) in The 2011 American Business Awards. (Entries to The 2012 American Business Awards are now being accepted. Request your entry kit and it will be emailed to you right away.) See how RiseSmart stands out from the competition. What are outplacement services and why do they matter? Outplacement services are a series of services offered to employees by employers when employment setbacks occur. Traditionally, outplacement services have been inherently low-tech, simply assisting companies with downsizing events and providing office space, grief counseling, and on-site group seminars to laid-off workers. As the U.S. unemployment rate rose between 2008 and 2010, the inefficiencies of traditional outplacement services became apparent. In a 2009 front-page story, “Outplacement Firms Struggle to Do Job,” The Wall Street Journal reported that traditional outplacement support packages “offer little value” to workers and leave many feeling dissatisfied. With home computer access now so common, workers have little interest in setting up shop in an outplacement provider’s office space to conduct their job search. RiseSmart has brought a new approach to the $3 billion industry by revolutionizing outplacement services through a combination of traditional services and use of technology. Through these new strategies, RiseSmart can aggressively focus on helping employees get what they need most: a new job. RiseSmart is helping to put America back to work by providing next-generation outplacement solutions to transitioning employees. The company combines a sophisticated technology with consulting services to not only help employers with their workforce strategies, but to help displaced employees with their career strategies. RiseSmart has injected the power of its proprietary, cloud-based technology and service platform into a market that had been dominated by brick-and-mortar business models. Its Transition Concierge outplacement solution, launched in 2008, has turned the outplacement industry on its head. RiseSmart’s affordable, cutting-edge approach uses a web-based portal application that provides participants with personalized, relevant job leads, articles, blog posts, and other individualized content to help them find a job quickly. Every participant is assigned a highly trained, experienced Transition Specialist, who works to assist in each unique job search. With the new combination of support, RiseSmart is successfully placing individuals in new jobs 50 percent faster than the national average. Those kinds of numbers have helped RiseSmart achieve some of the highest customer satisfaction scores in the industry. The company has enjoyed 100 percent customer retention to date. And it’s not surprising that RiseSmart is now among the fastest-growing outplacement companies in the United States. Because Transition Concierge participants find jobs so much faster, RiseSmart is helping employers save money in the form of reduced severance payments, unemployment taxes, and legal costs. RiseSmart is the first choice for organizations where individual needs and personal attention to both the corporation and the employee come first. More than a dozen Fortune 500 companies have switched from traditional outplacement firms to RiseSmart. Time for a New Movie? If all this is making you think of the movie “Up In The Air,” The Wall Street Journal thought so, too, and commented on it in a Venture Capital Dispatch blog. Sanjay founded RiseSmart in 2006 after spending more than two decades in the management field leading successful sales and marketing organizations nationally and internationally. 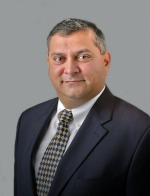 Prior to RiseSmart, Sanjay served as vice president for enterprise data management for Sabre Holdings as well as served as vice president of marketing for Brierley & Partners. Through his roles as vice president, Sanjay has gained a strong background in product marketing, CRM, loyalty programs, branding, marketing communications, public relations and strategic alliance initiatives across the telecommunications, banking, airline and technology sectors. By combining his professional background and entrepreneurial spirit, Sanjay has successfully transformed the outplacement services industry. RiseSmart is the leading provider of next-generation outplacement solutions. The company leverages a cloud-based technology platform, proven methodologies, and one-on-one support to help employers with their workforce strategies, and displaced employees with their career strategies. RiseSmart drives significant ROI to organizations by offering affordable pricing while reducing unemployment insurance taxes and severance costs. For more information, visit http://www.risesmart.com.